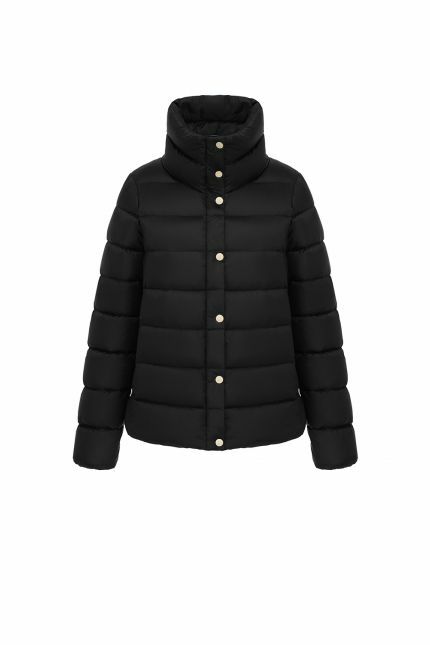 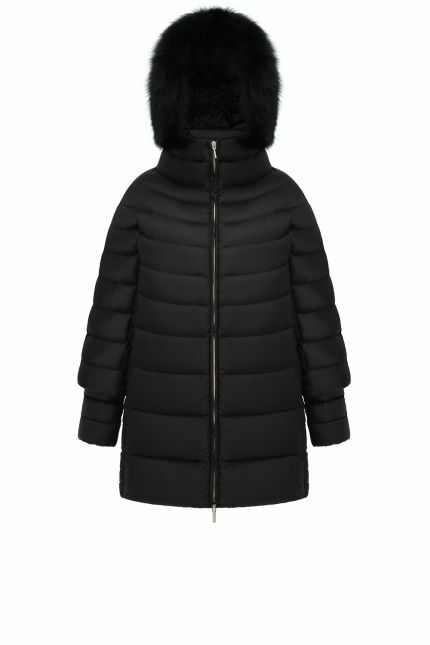 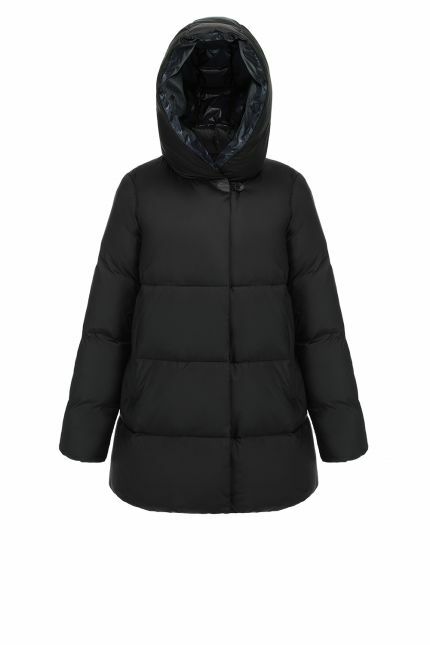 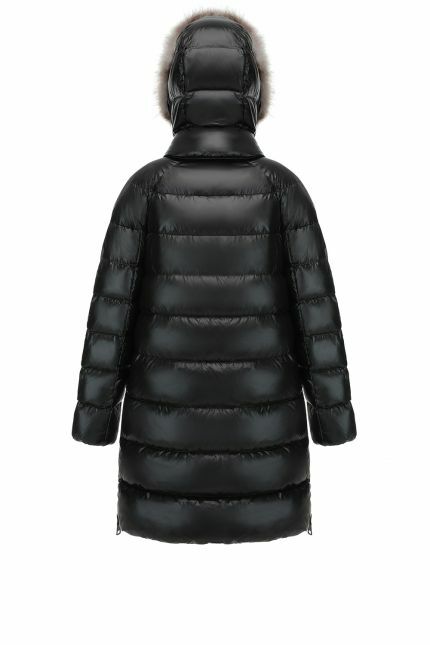 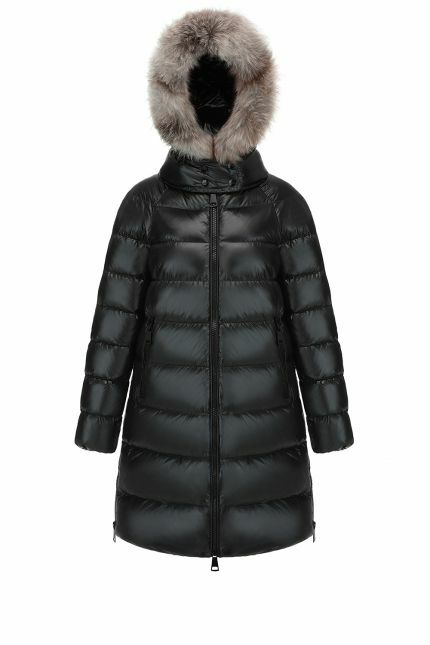 Hetregó Marella black long down jacket combines the softness of padded laqué quilting with high-performance and technical materials. 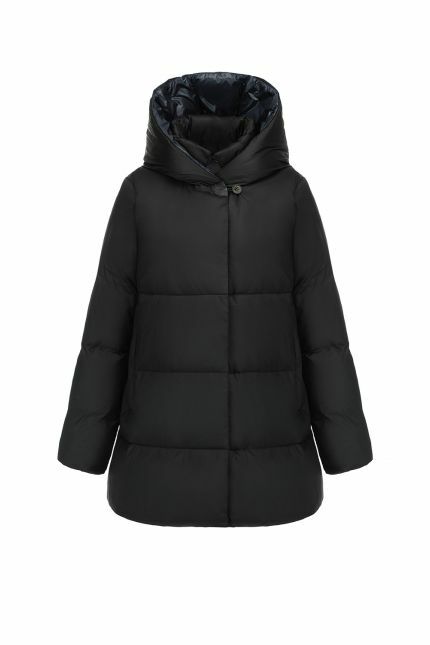 The two fabrics employed shapes the silhouette for an easy-chic piece of outerwear perfect for city or for those moments outdoors. 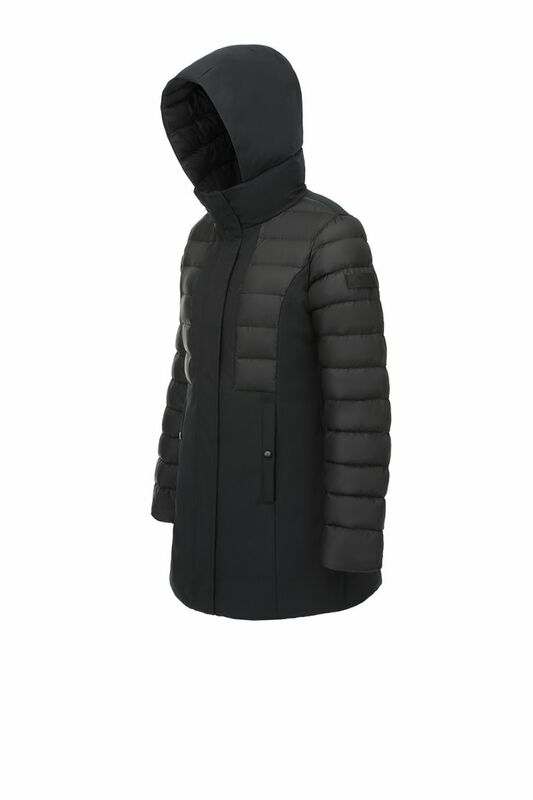 Sporty and modern, this coat features a placket with snap closures over 2-way zipper to keep the elements out; two side pockets; chin guard and fixed hood. 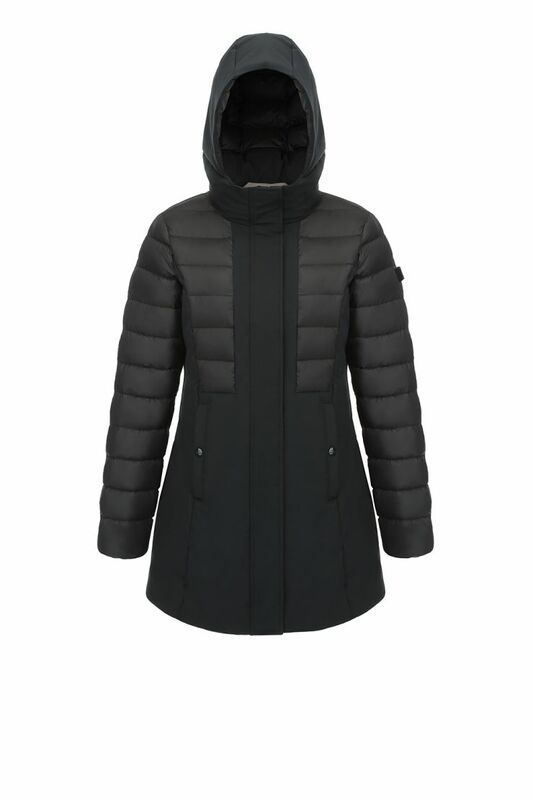 Waterproof and windproof, Marella is ideal to wear everyday during winter, even with leisurewear.